Another homemade edible gift, this time it's for Father's Day which is on 15th June. 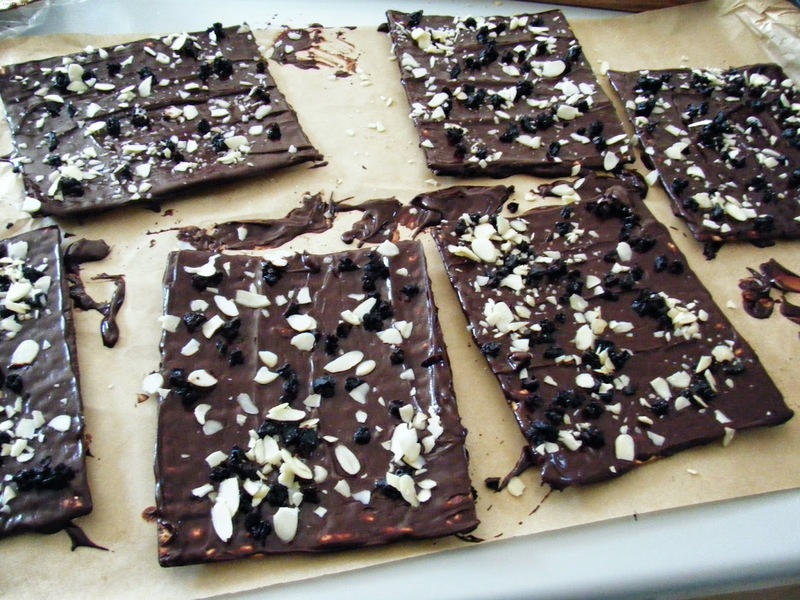 These dark chocolate, cherry and almond covered crackers were inspired by several chocolate topped Matzo cracker recipes I spotted around Passover earlier this year. I knew they'd make a lovely gift and Father's Day was just the excuse I needed to make them. Chocolate, Cherry and Almond covered crackers. Line the work top with grease proof paper. This will stop the crackers sticking to the worktop if any of the chocolate overspills at the edges of the crackers. Melt the chocolate and add the kirsch to it (if using). 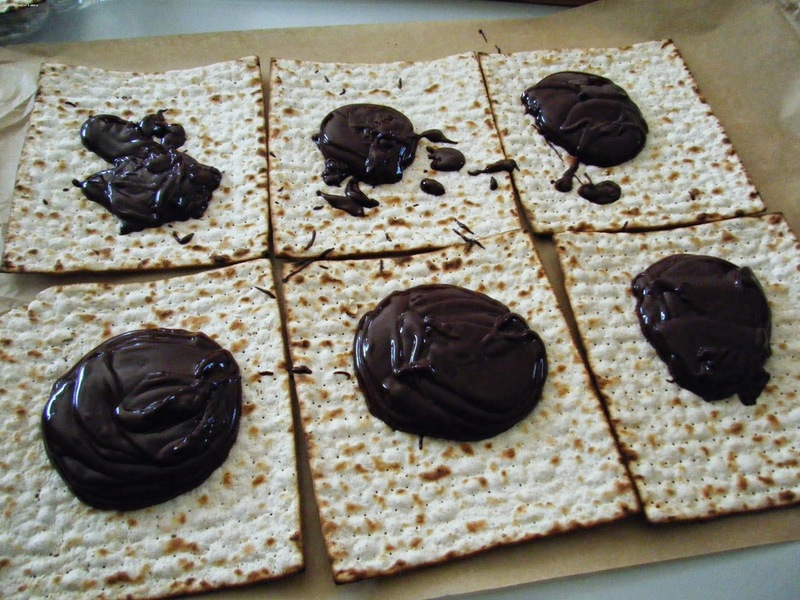 Divide the melted chocolate between the 6 crackers and use a pallet knife to spread it evenly across the crackers. Before the chocolate dries sprinkle the almonds and cherries over the crackers. After the chocolate has set break up the crackers into large pieces and present them in a cellophane bag. For more edible homemade gift ideas try sesame brittle or buckwheat and peppercorn meat rub.